I think your right Janice. The K-68 does have a light. Here's a movie that I don't think has been mentioned called Stealing Home. It starred Mark Harmon, Jodi Foster, Jonathan Silverman, Blair Brown, and Harold Ramis. 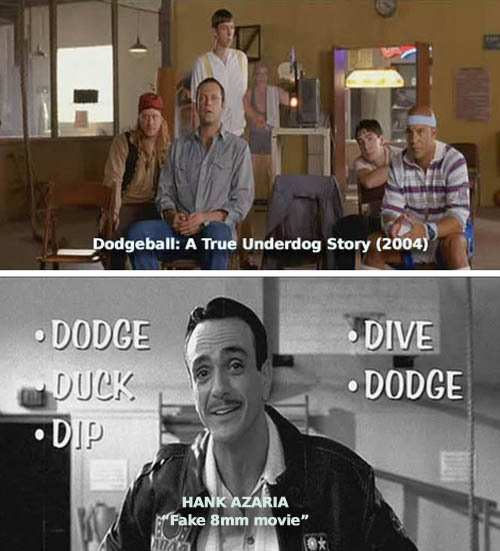 Time-wise the flashbacks in the movie were centered around 1964. 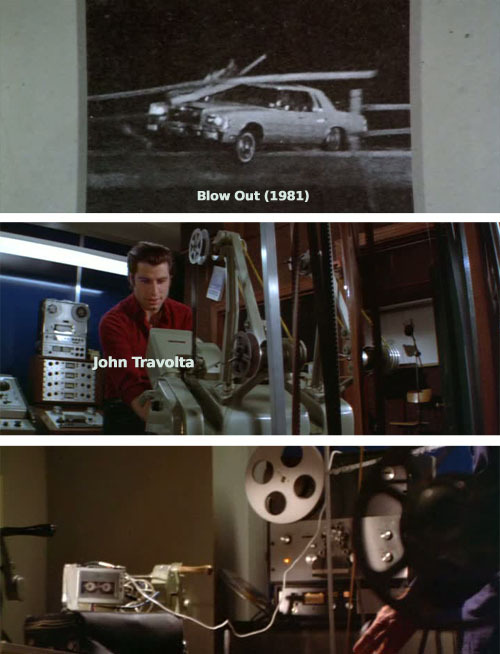 Brian De Palma has made some very disturbing movies and BLOW OUT is no exception. 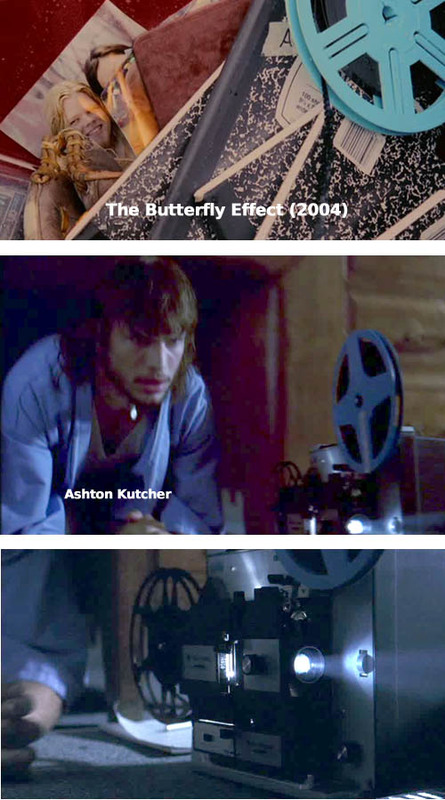 The Butterfly Effect...I tried to brighten up the bottom photo to get a better look at the projector. Can anybody identify it? Your posting some awesome pictures Janice! Nice job. 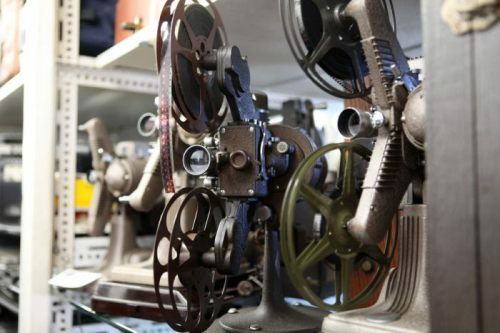 That is a Bell & Howell. As far as a model # I'm not so sure. I have one and I still can't recall! 'Blow Out' is one of my personal favorites. It shows a lot of behind the scenes of filmmaking....sound work, editing, matching picture and sound, projecting etc. Bell & Howell Filmosound 8 - 358A Looks awful close to this picture. This is may favorite new favorite thread. Keep up the great work Janice! That's really close, Janice, but the volume knob at the front bottom and jack under the manual advance wheel are missing -- so my guess is that we're looking for a silent model. 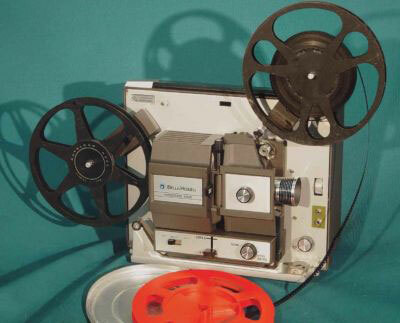 This looks very similar to my first projector, a B&H 357B, although there are also several models similar to it. Good eye Bill!! 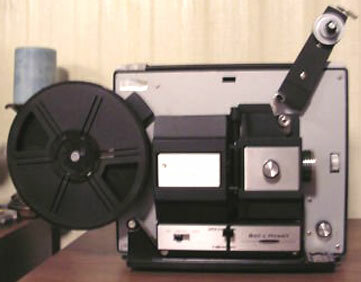 !...They are all starting to look alike to me....OK...how about this one Bell & Howell 487A. What's the projector in a scene from the amazing film BILLY JACK (1971), at "the hippie-themed" Freedom School? Showing my age a bit here but a popular British animation series AKA The Wombles did a great episode in 1975 titled FILM SHOW. In this the voice of Bernard Cribbins covers the animation for the Wombles who are usually busy picking up rubbish and recycling it but in this episode they have a film show after making a film. This series was very popular in the UK and don’t think I missed an episode if I could help it. That projector in BILLY JACK looks like one of the RCA models. Too dark to tell for certain. 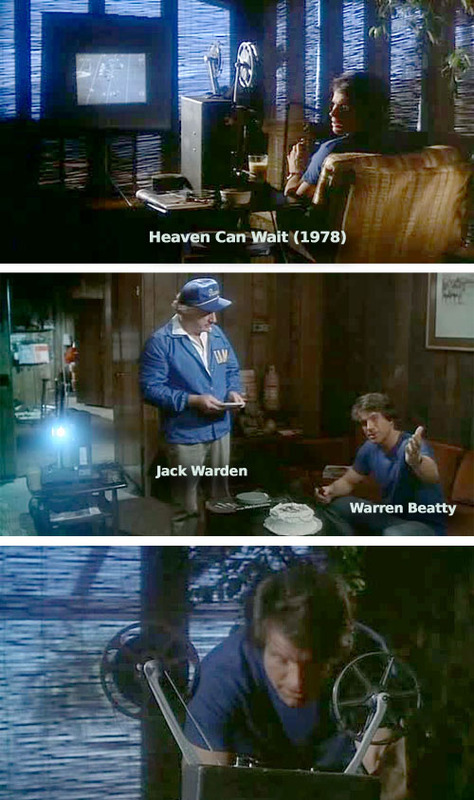 HEAVEN CAN WAIT (1978) was as nice updated remake of the 1941 movie Here Comes Mr. Jordan. This is from a Hollywood prop warehouse so they may have been in movies. 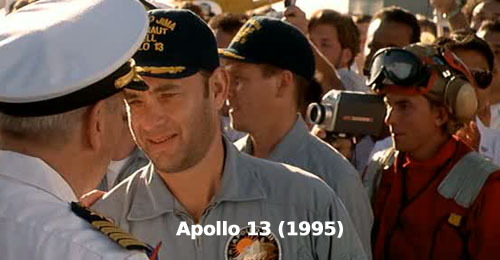 Here is a screen capture of the scene mentioned in an earlier post of a cameraman with a 8mm camera shooting footage of the return of the Apollo 13 crew. In this shot is Tom Hanks and Kevin Bacon. Am I right? 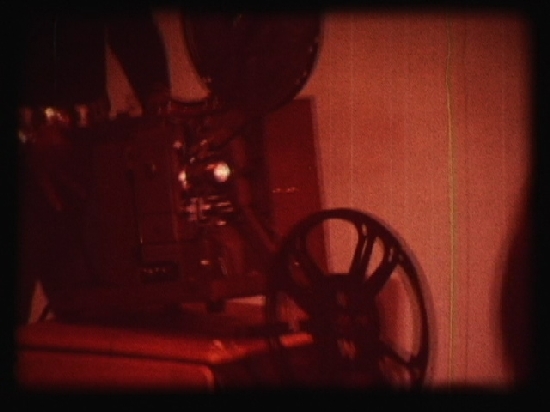 Apollo 13 was 1970, and Kodak didn't put 8mm (super 8) sound in a camera until 1973. Right? No, and there's no microphone visible in that frame that's attached to the camera, so probably not off after all. Earphones always sound better when placed behind the ear, after all.. I think they were called plane captains. My son was one in the Navy. There were responsible for landing the aircraft on the carrier. They would signal the pilot with flags. He is wearing a colored vest also. 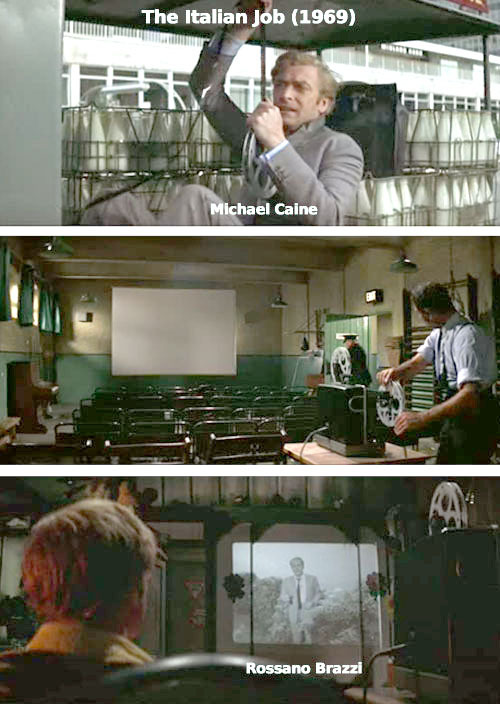 The original version of The Italian Job (1969) starred Michael Caine, Noel Coward, Benny Hill, and Rossano Brazzi. There was a remake in 2003 starring Mark Wahlberg and Donald Sutherland, but I haven't seen it...not sure if there are any projectors in that version.